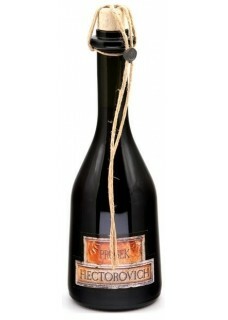 Relative of the Italian Vin Santo and several other top quality Mediterranean sweet wines, Prošek originates in the coastal part of Dalmatia and Istria, which are also the only two regions where it is still made. Prošek Hectorovich was named after Petar Hektorović, a great poet, hedonist and nobleman who came from the island of Hvar. Food pairing: Desserts, dried figs and blue cheeses.